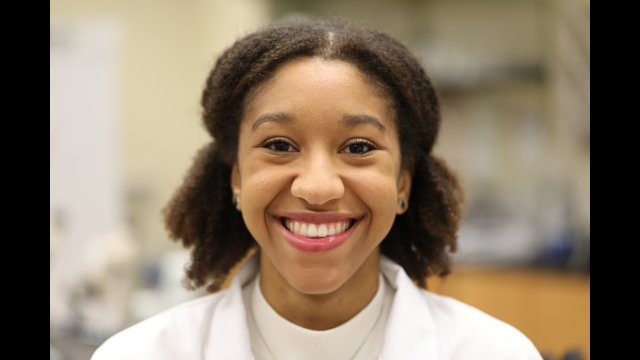 WACO, Texas (March 28, 2017) – Jade A. Connor, a senior biology major from Lewisville at Baylor University, has been selected to receive a prestigious Fulbright study grant, becoming the University’s 48th student Fulbright recipient since 2001. In the fall, Connor will begin studies at Maastricht University in the Netherlands for a master’s degree in Governance and Leadership in European Public Health. After earning her master’s degree, Connor will return to the United States to begin medical school with an ultimate goal of improving the lives of patients with dementia, particularly Alzheimer’s disease. Connor decided to come to Baylor after attending Invitation to Excellence, a special weekend program for high-achieving high school seniors that showcases some of the exciting academic opportunities Baylor offers in the Hankamer School of Business, School of Engineering and Computer Science, science programs in the College of Arts and Sciences, Robbins College of Health and Human Sciences, Diana R. Garland School of Social Work and the Honors College. Connor is both a William Hillis Scholar in Biomedical Sciences and a Carr P. Collins Scholar at Baylor. The Hillis Scholars program provides research experiences and enhanced mentoring and learning opportunities for high-achieving undergraduate prehealth students that prepares them for top graduate programs and medical schools. The Collins Scholars program recognizes and rewards students who demonstrate leadership through service. In addition to academics, Connor is involved in student organizations. 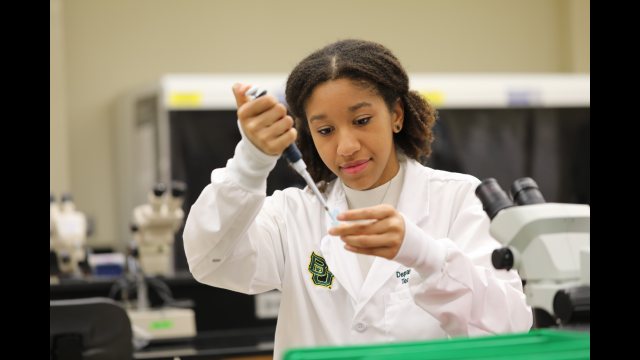 She serves as president of Baylor Undergraduate Research in Science and Technology (BURST), a student organization for undergraduate students interested in scientific research, and is editor of BURST’s journal, Scientia, which features outstanding student research in the biological sciences, physical sciences, mathematics and technology. 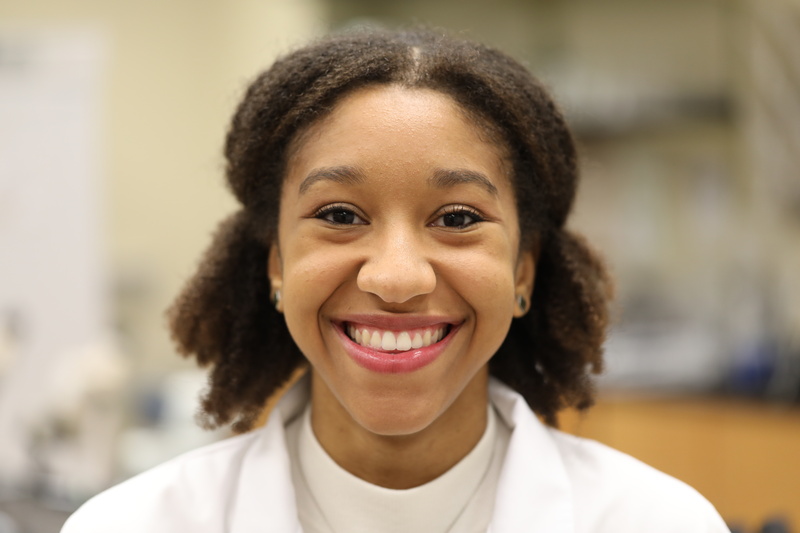 She is a member of the American Medical Student Association at Baylor, a Biology Ambassador and a tutor at La Vega High School. 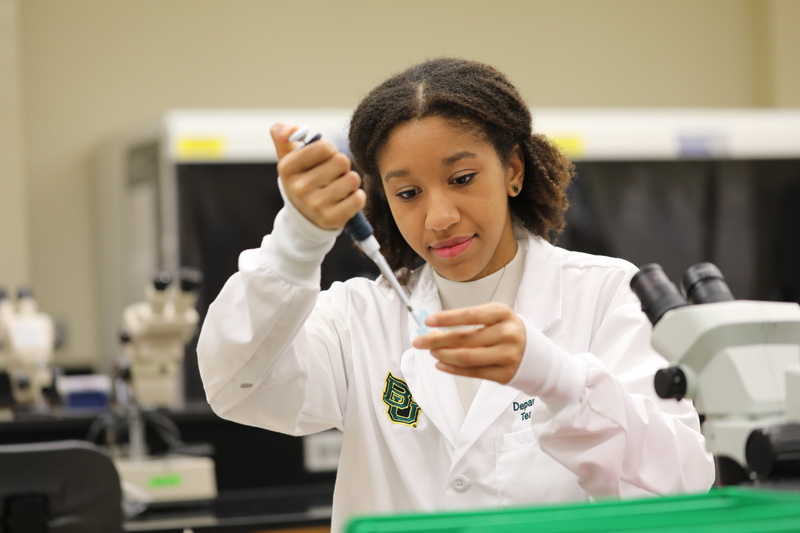 Baylor is well known for its vibrant campus community that blends interdisciplinary research with an international reputation for educational excellence and a faculty commitment to teaching and scholarship. Connor praises several Baylor faculty members who took her under their wings and offered guidance during her four years at Baylor, including Dr. Erika Abel, Dr. Rich Sanker, Dr. Tamarah Adair, Dr. Lisa Baker, Dr. Troy Abell, Dr. Kirsten Escobar, Dean Betsy Vardaman and Dr. Bill Neilson, whom Connor considers her “most influential mentor.” Neilson is a medical doctor and serves as clinical professor of the Honors Program and associate dean of the Honors College. “I honestly have never had an educator invest in me as much as Dr. Neilson has. He was the one who suggested that I apply to the Fulbright and the first one who really challenged me to take risks and make big goals. Dr. Neilson has really cared about me as a person, not just as a student,” Connor said. The Fulbright U.S. Student Program offers research, study and teaching opportunities in more than 140 countries to recent graduates and graduate students. “I’m so grateful to this opportunity to spend a year not only diving deep into the subjects of public health and health policy, but learning from the Dutch people and culture. I fell in love with the city of Maastricht the first time I visited through the Baylor in Maastricht study abroad program, and I’m excited to return in the fall,” Connor said. Connor is a 2013 graduate of Hebron High School in Carrollton. She is the daughter of Trevor and Foye Connor.